When searching for the best flight deals around, we pride ourselves in taking into account every aspect of a deal and only recommending flights we would take ourselves. Typically that means few (if any) connections, good quality airlines, and ideally full-service carriers with meals & bags included. That said, it is undeniable that there is a place in the market for budget airlines – many of which fly direct routes that are either not covered at all by other full-service carriers or simply offer a much cheaper option to popular destinations. By definition, a budget airline is a no-frills experience, where the air ticket price covers only the basics and optional add-ons are sold at a cost. But, not all budget carriers play by the same rules – some are more consumer-friendly, while others aim to squeeze out every dime. With our team of flight experts, we’ve put together this guide on the best and worst budget airlines to fly from the United Kingdom & Europe. The well-known airline easyJet, headquartered in London-Luton, has expanded to dozens of countries in their 25-year history and is now the second largest European airline. easyJet flies from all over the UK, including routes from regional airports like Bristol and Liverpool. They currently don’t have any long-haul routes, but they have begun to partner with other airlines, offering booking and connections to long-haul destinations through easyJet worldwide. Easyjet also offers a convenient cheap fare tool to help you find some of their best available deals and a useful “inspire me” page. Their generous carry-on allowance and scaling fees for extras make them consistently competitive. Cabin bag included, second bag with seat upgrades between £14-£25 per leg. Choose from 15kg, 23kg or 26kg checked bag. Priced at £16 – £34 return for short haul, more for long haul. London Stansted to Egypt and London Gatwick & Manchester to Tel Aviv often show good value fares. You can combine them with Aqaba, Jordan from Gatwick. Headquartered in Leeds, Jet2 has become a popular airline for UK sun and snow holidaymakers, with the conveniences typically lacking in Ryanair options. They also sell many popular package holidays with checked bags included. Their departure airports cover most of the UK, including their home, Leeds, East Midlands and Birmingham which are often ignored by other airlines mentioned so far. Destinations include all the most popular sun and snow spots in Europe. They even have routes to New York now, although we’ve yet to see these at a really competitive price. With a generous carry-on allowance, more spacious leg room and competitive flight times and fares, they’re definitely a good option if you want to avoid micro-planning every aspect of your travel. They also have a low-fare finder tool on their website. Cabin bag included with a 10kg weight limit. Checked bag upgrade typically around £30 each way. Croatia, Cyprus and Turkey from airports across the UK. If you’ve ever had to take a regional flight within the UK, you’ll have heard of Flybe. As their slogan suggests (“Close to you”), they cover many of the smallest regional airports, like Aberdeen, Liverpool, Newquay and their home – Exeter. They are much more than just a regional airline, however, as they also fly to a selection of airports around Europe. They often pop up as a connecting flight for Air France on long-haul flights all over the globe. Because there’s not much competition on many of the routes they fly, flights can be on the expensive side, but at least they’re an option! Included with a 10kg weight limit. £7 for a regular seat, £16 for extra legroom each way. Southampton to Bordeaux and many cities to Jersey/Guernsey. Hungarian airline Wizz Air has been aggressively expanding in the last decade and all signs suggest that it’s going to continue. Clearly, they’re aiming to be a real competitor to easyJet and Ryanair. Their base ticket prices are generally some of the lowest out there, but the devil is in the bag fees with them. Like Ryanair, they do not include a normal cabin bag in their fares, however, they also charge substantially more to add one. Now that you know what to expect, they’re still one of the cheapest options out there, particularly to many eastern European countries. Watch out for inconvenient flight times and the aforementioned bag fees. They do have a low-fare finder if you’re flexible on dates. Checked bag upgrade typically starts at around £20 each way for a 10kg bag. On-board shop, below average prices. £8 for a regular seat, £17 for extra legroom each way. London Luton to Tel Aviv or Eilat, Israel & and Kutaisi, Georgia. This airline needs no introduction – headquartered in Dublin, Ryanair is known for making their tickets as barebones as possible and charging for upgrades, letting them offer flights for as little as £1 each way sometimes. They fly from most UK airports, offering routes to a multitude of European destinations, including Spanish and French summer-holiday destinations and lesser known cities across the continent. Their checked bag fares can sting a little, but if you can make do with a 10kg carry-on, they’ll regularly be the cheapest option and they have many routes you won’t find covered by anyone else. You can see some of their lowest fares using their website tool. Typically around £4 for a normal seat, £14 for extra legroom. Manchester to Ponta Delgada, Azores islands. London Stansted to Marrakesh and Rabat in Morocco. Spanish airline Vueling started in Barcelona and has been growing steadily ever since, with IAG (parent company of British Airways) taking ownership in 2012. From there, growth skyrocketed, with their focus as a domestic Spanish airline turning into a network across Europe, primarily serving Spain, Portugal, France and Italy from across northern European countries. 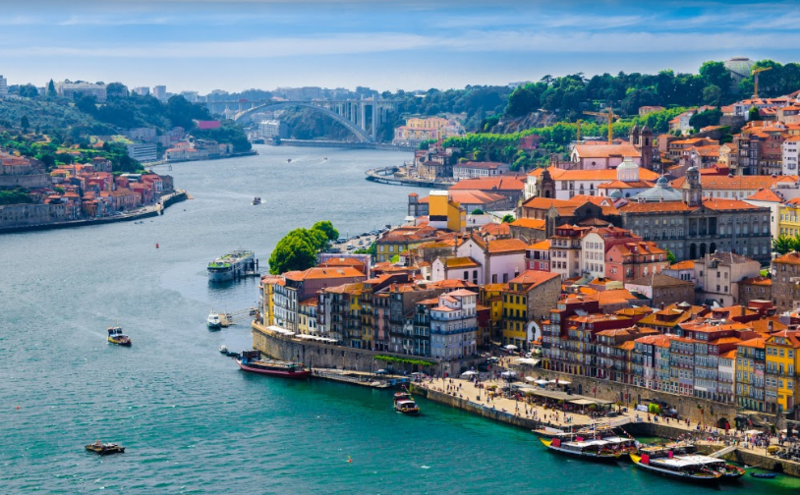 They remain one of the best ways to get to Spain to this day, with direct routes to northern cities like Bilbao, Asturias & A Coruña from London Gatwick. The UK/Ireland options don’t end there – they also fly to Barcelona from Edinburgh, Manchester, Birmingham and Dublin. With a good hand luggage allowance and reasonable checked bag/seat selection fees, they’re a good option if their base fare is competitive on the route you’re looking at. Many prefer that they fly from Gatwick rather than Stansted or Luton as other low-cost airlines tend to. They have a handy price calendar to see their cheapest dates to fly here. Not included, above average prices. £15-£20 for extra legroom or at the front. Norwegian has rapidly expanded in recent years to become the third largest low-cost carrier behind easyJet and Ryanair. Headquartered in Fornebu, Norway they’ve become particularly well known for pushing into long-haul with their routes to the US, Singapore (now defunct) and South America in their fleet of modern Boeing 787’s. In the UK, they fly from Edinburgh, Manchester and London Gatwick primarily, with all of their long-haul flights leaving from the latter. They also have bases in Ireland – flying from Dublin, Cork and Shannon. Their short-haul options are expansive, however, dominating the options all over Scandinavia, while also flying as far south as Cyprus and the Canary Islands. With a generous carry-on allowance of 10kg, they definitely suit light packers. Their checked-bag fees and seat-selection fees can be costly, but some OTA’s sell their all-inclusive fares at a discount. They have a good low-fare calendar tool here. Cabin bag included, 10kg weight limit. Checked bag fees vary on a sliding scale, but typically around £40 return for a short-haul journey, and £70 return on a long haul. Some OTA’s sell inclusive fares at a discount, though. Pre-order food at £25 per leg on long-haul. London Gatwick direct to Rio de Janeiro or Buenos Aires & direct routes to much of the US. Charter airline Thomas Cook is well known in the UK as the brand has been around since 1841(!) when Ole Thomas Cook himself started his travel company. Nowadays they’re still one of the largest package holiday operators in the UK and, through the Condor brand they purchased in the 2000s, also operate from Germany. Both brands also operate as airlines and sell seats directly for their flights, without the hotel package. Their destinations are all over the place, but their Caribbean routes often stand out for showing good deals. Cuba and the Dominican Republic can sometimes be found close to the £300 mark from both London and Manchester. Cancun and Cape Town also frequently come up in deals from the UK. From Germany, look out for Condor routes to Brazil as well as Cuba. Thomas Cook includes meals in the fare and their bag fees at £30 per leg are pretty decent. Seat selection fees do hurt a little though, starting at £22. German conglomerate TUI is the largest travel company in the world following successive acquisitions. Headquartered in Hannover, they actually own 6 different airlines in Europe which operate semi-independently. Similar to Thomas Cook, their speciality is package holidays, as they own or have deals with a large number of hotel resorts. Their destinations can be all over the place too, flying to Southeast Asia, Cape Verde, as well as the US and popular Caribbean spots. TUI’s biggest feature for deal-hunters is their last-minute fares. While many airlines increase prices for super short notice flights (less than 2 weeks to departure), TUI likes to fill the whole plane by selling their last seats on the cheap. This can be a great option for a cheap holiday away, although your choices will be limited to specific 7, 10 or 14-day trips usually. TUI routes from the UK fly direct, usually in modern 787 Dreamliners. They also include meals and, although checked bags are extra, their short notice flights are usually still a great deal once you’ve added them. Watch out for the seat selection fees though! You can see all of their last minute deals here. Headquartered in Dusseldorf, Eurowings is the well-known subsidiary of Lufthansa which serves lots of destinations around Europe and some long haul destinations. From the UK, Eurowings fly a number of direct routes from Manchester, Glasgow & others to German cities, but also includes 1-stop flights to a couple of Caribbean Southeast Asian destination. Their fares to Havana are often competitive, especially if you’re able to pack light and fit within their 8kg carry-on allowance. Eurowings are definitely a good value option overall, but their extra fees can sting and make them less attractive overall if the starting fare isn’t really competitive. They have a “low-fare” calendar tool to find their lowest fares here. On-board shop, above average prices. The Icelandic flag carrier (unsurprisingly headquartered in Reykjavik) helps to feed the tiny country’s tourism industry and soon took advantage of it’s positioning to offer 1-stop flights to Canada and the US. From the UK & Ireland, they offer departures from London Gatwick, Manchester, Glasgow & Dublin. Their biggest selling point is the Icelandic stopover where you can extend your stop in the country for a few days en route across the pond. They also offer some bargain trans-Atlantic fares. Icelandair does include plenty in the base fare – in-flight entertainment, basic drinks and a blanket on sleeper flights. Vancouver, Anchorage and Portland from all over the UK. Canadian airline Westjet, headquartered in Calgary have become well-known in the UK since the launch of their direct flights to Canada from London. They also have convenient flights to Canada from Glasgow and Dublin. These routes are all recently launched, so we expect to see more expansions and options with WestJet in the future. They’re bringing modern Boeing 787’s into their London routes, for example. As they also operate flights to Hawaii from Canada, they can be a great way to get to the islands for much less than traditional airlines – and with just a single stop. With their very reasonable checked bag fees, they’re definitely a great option for trips to Canada and onward. They also do have cheaper one-way tickets than other airlines. Search their cheapest fares on their low-fare finder tool. Cabin bag included, 53 cm x 38 cm x 23 cm size limit. Snack included, average prices in shop. London to Honolulu or Vancouver, Halifax from Glasgow. New to the market, LEVEL started out with a bang when they launched with 1p flights from London to Vienna! Launched in 2017 from Barcelona ()with help from Iberia), they’re IAG’s (British Airways owner) response to competition from Norwegian and the other low-cost airlines mentioned so far. We’re expecting to hear a lot more from them with their recent expansion into Paris and soon Amsterdam. For long-haul flights, they offer super low base fares to French Caribbean islands from Paris and to Argentina or Chile from Barcelona. Their checked bag fees are pretty reasonable at €40-€50 per leg, but watch out for their expensive onboard food, drinks and extra legroom seats. Cabin bag included, 10kg limit. Onboard shop, above average prices. Starts at €13 per leg, extra legroom is €65. Air Europa is the third largest airline in Spain, headquartered in Mallorca, but uses Madrid as its main hub. They’re a big regional presence in Spain but also connect to Central/South America and select cities in the United States. In particular, their routes to Uruguay, Paraguay and Honduras stand out, with not many other options to fly there conveniently. They also fly to Argentina, Brazil, Colombia and Cuba, where you see more competition from full-service airlines. Air Europa let you travel with just one stop in Madrid from London, Munich and some other large European cities, but watch out for long layovers on their routes. Their base fares can be competitive and bag fees are pretty reasonable. Beware that they do seem to purposely seat travellers apart to convince you to pay for seat selection. Not a classy move. Checked bag upgrade is £40 per leg. Singapore Airlines subsidiary Scoot launched a Berlin and Athens route in 2018, which connected Europe to Asia (and even to Australia via Singapore) entirely through low-cost airlines for the first time. They have a unique feature called “Scoot-in-Silence”, a cabin with no children under 13. It’s a super barebones airline, comparable to Ryanair, but for long-haul. Although they do offer wi-fi and power sockets (at a price, of course), there’s no in-flight entertainment screen and even blankets come at a cost! Their fares are consistently quite low and so remain a good value option year round, while full-service airlines fluctuate more, according to demand. With a checked bag upgrade coming at around €85-€120 return, you should definitely double-check their fares against inclusive ones first if you’re taking a bag! You can find some of their lowest fares here. Checked bag upgrade is between €42-€60 per leg. Starts at around €15 per leg, silent cabin is €35 and extra legroom is €90! Berlin to Bangkok or Thailand. Berlin to Sydney. Tristan is an avid traveller and Chief Flight Hacker at Jack's Flight Club. He's currently waiting on the next great deal to Southeast Asia to tour Vietnam, Thailand and Cambodia. When he isn't on the go he lives in Glasgow, Scotland with his dog.